In 2015, a frail 93-year-old former Nazi officer made international headlines when he went on trial in Germany, charged with complicity in the murder of 300,000 Jews at Auschwitz. Nicknamed “The Accountant of Auschwitz,” Oskar Gröning was hardly the architect of the Holocaust. He was a 21-year-old soldier, following orders to collect and account for the items taken from Jewish prisoners as they were herded off trains and ultimately sent to their deaths. Nonetheless, he was there, witnessing and abetting a system where 1.1 million people died at the notorious Nazi camp. On the stand over 70 years later, with some who had survived Auschwitz in the courtroom as witnesses and testifiers, Gröning unemotionally described what he saw and what he did. He wanted to speak out as a witness because more than anything, he said, he wanted to debunk Holocaust deniers. On the other hand, as a participant, his hands were hardly clean. The issues raised were murky ethically and morally, asking questions with no clear answers. Gröning was found guilty but died in March 2018, before he could begin the four-year prison sentence he was given. If this sounds like it would make a great documentary film, director Matthew Shoychet and producer Ricki Gurwitz agreed. They teamed up to make the award-winning “The Accountant of Auschwitz,” which will screen at Peabody’s Black Box Theater (located inside the ArcWorks Community Art Center, 22 Foster St., Peabody) on Saturday, March 30, as part of the Salem Film Fest. Shoychet, who grew up in a “pretty secular household” in Toronto, always was interested in Jewish subjects, but felt a special link through film. His grandfather showed him the 1959 film, “The Diary of Anne Frank,” which opened his 7-year-old eyes to the Holocaust. Years later, “Schindler’s List” had a strong effect on him, Shoychet said. Although he is not a grandchild of survivors, many of his cousins and relatives were murdered. “I knew, as a Jew, I was connected,” he said. Gurwitz attended Jewish day school in Toronto in a family she describes as a mix of conservative and reform. A “history nerd,” she was always interested in how her Jewish community has persevered through the centuries in the face of constant persecution. Their paths crossed and they became friends in 2013 during an International March of the Living, the annual educational program that brings individuals from around the world to Poland and Israel to study the history of the Holocaust and to examine the roots of prejudice, intolerance, and hatred. Shoychet took the trip again in 2015, where he met and befriended Holocaust survivor Bill Glied, who had to leave early to testify at the trial of another former Nazi in Germany. “I didn’t know Nazi trials were even possible anymore,” Shoychet said. 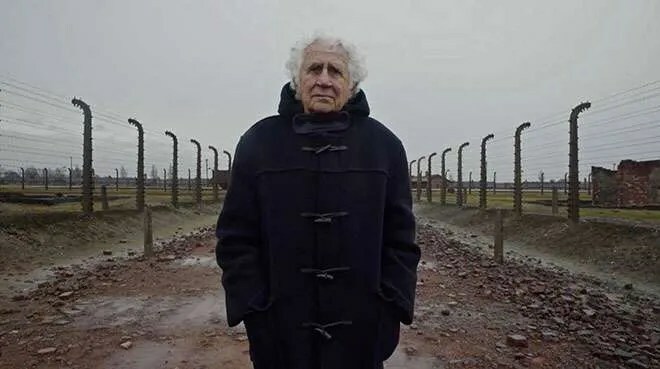 By coincidence, Gurwitz, who was working as a TV producer, called Shoychet two months later to tell him about a story she just covered: the German trial of the former “Accountant of Auschwitz.” The two combined forces, created a pitch, and started filming as soon as they could. They faced many challenges. German law does not allow filming inside courtrooms, so animations and graphics fill in the blanks. But the biggest challenge to Shoychet was for people not to dismiss the film as “just another Holocaust film.” His unique storytelling resists a chronological approach, instead interweaving side stories that take history and relate it to Gröning’s trial. “There is a feeling of a race against time. Soon, Nazi perpetrators and Holocaust survivors will be gone,” Shoychet said. Salem Film Fest 2019 runs from Friday, March 29 to April 4. For more information or to buy tickets, visit salemfilmfest.com.